Then I saw some telephoto sample images and was immediately impressed, wondering if I had been underestimating the 1" bridge camera segment. Then Barney described the RX10 III to me as 'magic', which is high praise indeed and warranted further investigation. Which is exactly what we've done, below. Note that our results here are only indicative of the one copy of each camera we have on hand, some of which appear to be slightly decentered. Starting at the wide end, which is around 25mm for all the cameras tested, we see in the center of the image (where our RX10 II appears to perform as expected) improvements over the RX10 II aren't incredibly pronounced. 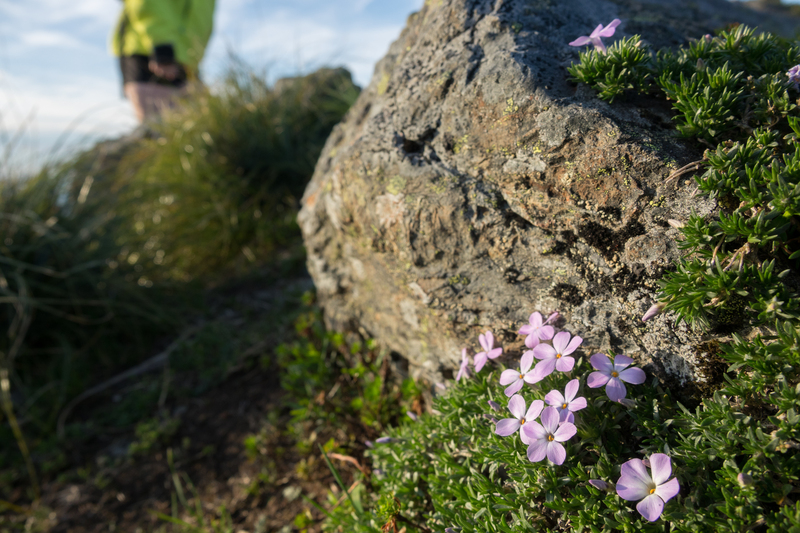 Other areas of the scene show the advantage of the RX10 III, especially when it is stopped down from its maximum aperture of F2.4 to F2.8. Its performance is definitely a step up from the Panasonic FZ1000, and is miles ahead of the Canon G3 X. Where crazy zoom lenses like these typically struggle is in the extremes of the frame, with neither the RX10 III or the FZ1000 being an exception. The sharpness fall-off is less severe with the RX10 III, though, and all in all, the RX10 III is the best performer on the wide end. Moving on to 400mm, the maximum focal length for the Panasonic FZ1000, we see a similar amount of detail between the Panasonic and Sony near the center of the image. Sharpness and resolution change for both throughout the frame, with the Sony showing a slightly iffy left side, and a better right side. Through most of the scene the two are practically neck and neck, with the G3 X turning in comparable performance as well, but let's not forget the Sony and Canon still have more zoom range to go. The RX10 III's 24-600mm lens isn't only useful for distant details. The real reason people consider bridge cameras is for the reach, and Sony extended the RX10 III's reach by a full 400mm over the RX10 II. That means it now offers the same amount of reach as the G3 X's 600mm equivalent maximum focal length. The RX10 III's lens is clearly sharper, but it has another thing going for it: its faster maximum aperture helps it combat diffraction. Remember that F4 and F5.6 on 1"-type cameras are equivalent to F11 and F15, respectively. Both cameras are limited by atmospheric distortion at these focal lengths (hence the drop to 'print' resolution in the previous comparison link), but it's clear that the RX10 III exceeds the G3 X's performance, while offering just as much zoom versatility. The Canon PowerShot G3 X's trump card has been trumped. Even at 600mm (equiv), the Sony Cyber-shot RX10 III's lens delivers sharp results. In all, it seems the RX10 III does offer a bit more than similar 1" bridge cameras from other manufacturers. 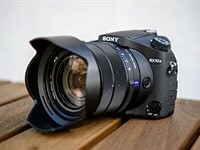 It exceeds, or at least matches, the competition with respect to zoom range, while offering sharper images, and brighter apertures than all but Sony's own RX10 II. Importantly, sharpness performance appears to be maintained throughout the zoom range, from wide to tele, which cannot be said for any of the other cameras in this test. Feel free to explore through these images and post your own findings below. As you look at the comparison widget, bear in mind that It appears our copy of the RX10 II appears to be slightly decentered. This isn't really noticeable in normal shooting but it's obvious in a controlled test like this. The second caveat to these results is the weather. Light varied over the course of the test, and had darkened so much that the Panasonic, the final camera tested, needed 2/3rds more exposure to produce a comparable image. All the exposures were processed in ACR with default sharpness and the 'Adobe Standard' profile used across the board. We'll be adding the RX10 III to our standard database of studio test images very soon - watch this space! Is the IQ that much better on the M3 than from 1&2? Is that correct? The Sony costs TWICE what the panny does? It looks OK, but a 100% premium seems a lot to pay. Yep and I am torn: get the Sony RX10m2, say the heck with it and get the Rx10M3 or get the Panasonic FZ1000. Yes the RX10iii is twice the cost and the lens makes it worth every penny IMO. Also it has been mentioned by someone who has both the cameras that the Sony is slower in just about everything so that's a big downside for me. I'm used to the blazing fast focus of the FZ1000. I almost cried when I went from my FZ45 to the FZ1000. Startup, focus, shooting, it's almost instant. I do think 400mm might be the sweet spot for these Superzooms and while I miss the extra range of the FZ45 600mm at times I am ok with it as long as they improve on other features. I asked Panasonic more then once to come up with a better version of the FZ1000, one with manual zoom, same as the Fuji's, which will in turn enhance battery life but I even doubt they will continue upgrading on this camera. It might have been cutting too much into their GH sales which is probably not exactly what they were aiming for. So saying it destroys the competition is a bit exaggerated to say the least. At first it looks that way but taking a closer look reveals the FZ1000 is still on top, at least to me. The AF of the RX10iii is fast. Just because it's not quite as fast as the FZ1000 doesn't mean it's slow. In real use the difference isn't that great. I shoot sports with the RX10iii and I never miss shots because of AF speed. Other than startup time due to the huge lens, overall operation is very fast. Reviewers tend to make big deals over minor differences. I was excited about this Sony RX10 III until I noticed the (atmospheric?) distortion at the long end which is as bad as my FZ45 so probably due to the longer lens. So while the Sony seems a bit sharper, especially in the corners I'm holding on to my FZ1000 because I want to get max quality at 400mm (no distortion) which the Sony seems to lack big time. Noise performance seems to be on par. I like the extra rings (although I rarely use the single ring on the FZ1000,) , top LCD screen, probably better battery life and USB charge/power to name a few but dislike the non fully articulated monitor which I tend to use a lot more then I thought. A lot of noise that I have never seen on the FZ 1000...this conclusion comes from viewing hundreds of images on Flickr,Sony RX10 mIII...However every once in a while the Sony blows me away...at $1400 ? Atmospheric distortions are not caused by the lens or camera but the atmosphere. Some of the comments I read here make my head explode from the total lack of knowledge. Look, the RX10iii is a better camera than the FZ1000 so get over it. Is it worth twice as much? Is a Maserati or Ferrari worth more than a Corvette? Wow my sincere apologies to you both, my mistake. Thankfully we have pro's like yourselves to correct noobs like us. I hope this correction will help people make their final decision, thanks a lot for your input. Apology accepted. I'd like to add that the longer away you shoot the worse the effects from the atmosphere. While the effect is not as great when shooting into space, ie the moon, it's still there. That is why the Hubble telescope images are so crisp. There is no atmosphere to view through. Don't agree about the noise. The noise levels are by far the lowest in comparison at various ISO settings. Sony has mastered that. Don't agree. Atmospheric conditions change every minute. You cannot determine or compare unless both cameras were tested at the same instant and at the same settings. I love sony. Their products are the best of all that I had. I checked out the DP Review studio comparison under smaller prints to compare the RX10 lll with my Panasonic FZ1000 for daylight shooting at 100 ISO and 200 ISO since I enjoy shooting wildlife at the zoo. There is surprisingly more than a slight difference between the two in sharpness and detail in favor of the Sony despite the sensors being the same size. So it's all about the lens. I'm now tempted to upgrade, but I still think the Sony should have been priced around $1,000 or $1,100 at the most. I can see blurry image at f11 f16 in the Sony camera pics at all focus lenght, is it worth to have those f stops in these cases? Yes diffraction sets in at f11 and above with 1" sensors. There may be times when a low shutter speed to get that smooth water effect or motion blur is more important than sharpness however so these f stops could be useful. For a good review, see this. Not that good because it's more about personal & subjective impressions than real facts. I like reviews to be as objective as possible with tests and facts. Only I can say how subjectively I will feel about something. i like the camera store reviews, and i also like the menu system of my RX10M3. call me crazy, but i like there is no "hidden" features, i don't know what else to call it. but i had a HX200V and the menu system didn't display all the features in the column of settings. but the DPReview made some good recommendations, hopefully i'll still like the menu, once i utilize them. not to get political, but i've noticed when the economy is this bad, reviewers praise anything. i remember them praising the Chrysler K-car. i'm happy with my M3, reviewers can tare it a new one, i got it for a great price. i had a gift card at best buy so i had to buy it there, and i was tired of waiting for the new Pani FZ1000. and best buy has stopped selling the original FZ1000. the M3 does have bad auto-focus, no doubt about that. Cambridge English Dictionary's definition of destroy: "to damage something so badly that it cannot be used," and of hyperbole: "a way of speaking or writing that makes someone or something sound much bigger, better, smaller, worse, more unusual, etc., than they are." Please leave already too-common hyperbole to headlines seen while standing in supermarket checkout lines, sales pitches, campaign speeches and Fox "news." Samuel Spencer's breathless rave over Sony's DSC-RX10 III Cyber-shot is thankfully counterbalanced by a more reasonable summation: "In all, it seems the RX10 III does offer a bit more than similar 1" bridge cameras from other manufacturers." Though clearly a subjective parameter, cost of ownership remains one of the compromises most of us will weigh when purchasing a camera. Considering the expected "diminishing return on investment" as prices climb, I think Panasonic's Lumix FZ1000 comes out rather well, especially at $700 against the $1,500 Sony RX10 III. Nice go throwing your political standing in there with the Fox news comment. It's almost as if you truly believe that Fox is the only news source that blows things out of proportion or twists the truth to suit the perspective of their target demographic. Try watching some other nations news sources and be as ashamed as I am of all American news sources. Other than that yeah agreed. Both Fox and MSNBC do seem to be 'a bit one sided' in their reporting. . . based on the 'fact checking' I see, Fox excels to a much higher [or lower?] standard of fact exaggeration. . . CNN seems to be on target most of the time however, MUCH like DPReview IMO. . . usually a balanced, fact oriented approach here. Ill agree with that. However there are also instances of some stories or entire sides of stories covered by Fox that CNN or MSNBC totally ignore. If I want new about America I will watch Canadian or English news. Much better from the outside viewpoint. Oops, nicely called out for taking a short-cut. And quite rightly; Fox has no monopoly on silliness or offering opinion instead of facts (nor does US media, for that matter). I just reached for first easy example of hyperbole that came to mind. I do watch (or read) varied sources, attempting build a balanced perspective. But as it gets harder to find unbiased information and rational analysis, I was disappointed to see a DPReview using language better suited to a sales-pitch. Wonder how the new Nikon DL24-500 will fair with all this 'destruction' going on. I have both the RX10 III and the FZ1000. The Sony clearly produces better images. The difference is evident, even without taking the trouble of comparing the same pictures taken under comparable circumstances. The only advantages of the Panasonic as far as I can see are the lower weight, better grip and lower price. I also have the A7RII, which is overkill compared to these camera's - but none the less impressive. All are great camera's. Now that would be something!!! Talk about the most unprofessional headline I have read on a photo website in 15 years. DPR you are a laughing stock to the serious photographers of the world and a headline like that just reinforces why. I'm usually the first to complain about Sony's pricing but in this case I don't see why so many people here find this camera to be expensive? I realize it's not considered "mirrorless" because you can't swap lenses but for $1500 you get a F2.4-4 24-600mm Zeiss lens with steadyshot. Large EVF, 4K recording, fast focusing, back illuminated sensor and 14fps shooting. Sure the sensor is only 1" but there's nothing on the market (even in DSLR) that offers this much for $1500. I have both a Nikon D810 and Sony A6300 so this camera is not for me but I'lll bet many camera enthusiasts and some pros will be very interested in the RX10III. If you really want to compare the offering to FF DSLR you have to realize the lens isn't 2.4-4 24-600. It's what it says on the lens, so it's 2.4-4 8.8-220. On FF this equates to 24-600mm, but the F number is 6.5-11 then.. You need quite some light with such a lens. Bridge cameras are often regarded as general purpose cameras for all kinds of conditions because of the nice zoom range. But in less than favourable light your D810 is vastly superior. Try some social photography in dim light, which lot of people do with their cameras. Really no comparison then. As I said, great achievement of Sony, but not a camera for the masses. More a special purpose camera that comes with a price. @Robemo, your equivalence is good only for depth of field. A 2.4 lens is a 2.4 lens no matter the sensor size. Your mistake is to assume that the focal length changes. It does not. It seems so to you, just because the suface recorded, the sensor, is bigger or smaller. But a 50mm lens doesn't change its focal length depending on whether you place it in front of a FF or a APSC sensor, for instance. It gives you that illusion because of the cropping. but the amount of light that goes through the lens is the same in both cases. Just one sensor gathers more light than the other. Again, Recorded phocal length changes, DOF too. Not the F number. Nothing else. It's the much discussed subject of 'equivalence' again. The article mentions it several times. Like .."The RX10 III's 24-600mm lens isn't only useful ....". And you also mention " ..for $1500 you get a F2.4-4 24-600mm Zeiss lens". If that were true I would have ordered one right away. But Sony itself is correct about it. It says "2.4-4/8.8-220" on the lens, which it is of course. Man, I would love to have a 2.4-4/24-600 on my FF body. Something tell's me it's never going to happen. Hey, the laws of physics maybe? Words like "destroy" "demolish' do not sound professional,they sound like a child who has been swept off his feet.Please don't use WWF like hyper - language. Sony seems to be your new love and you seem to be head over heels for them. They probably said destroy because such gross exaggerations are common among DPR posters when describing minor differences between cameras. Expensive but worth it because nothing else available is as good as this. When other comparable cameras come out the price will drop. The RX10 was only $300 less when it first came out. Fantastic results from Sony. Very impressive indeed. Balance and fair Journalism.. This is the exact concern here and not the camera at all. I see DPR what they are trying to achieve here. But publishing a comparo test with a questionable test method will ignite readers to tap their keyboard. BTT, as many suggest, at least two photos must be present here for comparison test. Lesson learned DPR, we appreciate all your doings here and I hope we can do better. Cheer up guys..
Nice summary. I hope Lesson learnt too. The most popular post has 61 (5 dozen) readers agree that "destroys" wasnt the most sensible word to use. Barney 'Hardly dozens" spoke too soon. But yes, we do appreciate DPR. Someone at DPR should correct the specs for weight showing at Amazon. Item weight of 4.41 lbs is a bit hefty for this hiker. I believe 2.32 lbs is the spec shown in the review. The larger number is more like what I'll be carrying if I'm packing equivalent length for my a6000. DPR staff don't (as far as I'm aware) have edit privs on the Amazon website. If you need something corrected on Amazon, write to Amazon. Watch out people, Sony is going to eat your children. Cant afford it? Sorry its not charity. Sounds like you slept with Sony and had their children. Good camera. Wouldn't spend that much on one but early adaptor's price notwithstanding its a nice effort. This seems like a totally lopsided review when there are no cameras being produced in the same price band from alternative manufacturers. The RX10 III certainly should be top dog for the price, but if the cheaper models mentioned are close in performance, then it's fair to conclude that the Sony is ridiculously overpriced. Please don't treat your readers as complete plebs Mr Spencer. I actually disagree with this. Sure there is nothing in the RX10 III's price bracket but of course if should be compared to it's peers in the same category. The comparison will find out if it's worth the extra money. And in many's view it isn't. I mean what are the other options, don't review it? or don't have any comparisons? In the situation with cars, why wouldn't you compare a 3.8 litre turbo Porsche vs a 3.8 litre turbo Nissan even if the price range is different. It surely has a great lens, but what is this? Is it due to heat waves or some strange "sharpening" algorithm? Atmospheric distortions, typical in long telephoto shots of things a long distance away. If thats the case, why then is the Panny fz1000 kicking the Sonys a*s in that comparism? Because conditions change constantly. Look at your link. see the waviness that is more prominent in the RX10iii photo. That is obviously due to heat rising from the ground. The amount of heat distortions can change in minutes depending on the sun, wind etc. Do you really think that the lens of the RX10iii could be that bad? Do you really think that every single review praising the RX10iii lens and saying it's superior to the FZ1000 could be wrong? If you stop being a fanboy and think logically you would see what I'm saying must be true. Now move the window around and compare the two. Notice how in other parts of the photo the RX10iii looks slightly better. In all cases at this distance and in these conditions neither camera shows it's best. 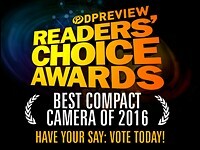 Wish they'd offer a firmware update on the Mark II to add the prefocus feature of the III. I just updated my RX10 II to the Version 1.3 firmware which came out in April. Possibly Sony has (secretly) added some features with this release? tbcass I am not a fanboy, everybody is entitled to their opinion on here, right or wrong, I am not denying the RX10III is a very good camera, I don't have an fz1000, it seems to be that you are the fanboy if anyone else dare say anything against the Sony you really do jump to its defence, enough of the fanboy material please, at least against me!! and some frames look unsharp because of that. Shadows mean the image looks more contrasty and for some better. I’d say it depends if someone needs more than 400mm. Panasonic can fill that role perfectly. The overall sharpness looks about the same, as is the max. aperture. For stronger evidence another set of cameras would be worth to check as well. If the reach is priority... no one can do f4/600mm, not even 500. And the lens deliverers impressively at that setting! The competition will find this a tough act to follow and tougher to compete. I am thinking that a shorter shooting distance would help to tackle the thermal distortion and still represent frequent scenario in the actual use. Long distance is still very useful to see though because extreme ends tend to reveal more differences. 600mm shots shot with the Canon G3 X clearly show a lot of heat distortion when viewed at full res that the Sony pics don't show. Are these shot deliberately much later in the day to degrade the perceived better quality of the Sony? Honestly, I can only spot a very slight advantage at full aperture of the Sony lens, which will not be visible when viewing the whole photo. All 3 cameras are on par, and very good, and I would not make a decision on image quality if I had to choose between these 3 cams. "Are these shot deliberately much later in the day to degrade the perceived better quality of the Sony?" oh come on! You are right gordzam...I don't take image comparison tests to seriously if trying to pap objects half a mile away (camera labs guilty of this to). check out the metadata, taken on different days, different lighting conditions, complete unreliable comparison. you should have used the word "eviscerated" because it's cooler. honestly, though, $1500 for a bridge camera which still can't do focus-tracking in AF-C? not worth it, unless you are doing run and gun video in developing countries. Okay, a camera with a quality control problem that produces indistinguishable images from other cameras "destroys" said other cameras. Not DPR's finest headline moment. This article is not to the DPreview standard. Title says: Sony 'destroys the competition', I am looking at these images, and I do not see the "destroys" part at all. The author should avoid such formulations, especially in the title. The new Sony has some minute advantage over the FZ1000, but considering the dramatic price difference, I prefer the Lumix still. That said, of course I have in mind my specific predicted use, what is web posting, thus effectively 2Mbyte-4Mbyte images. Someone planing to make huge prints might be persuaded by every even smallest increase in corner performance. And the Sony Zeiss is indeed a well balanced lens. i dont think there's actually that much which can be said about the RX10 v3 in this kind of test. and i also dont think a minute increase in lens sharpness over the competition would be a deciding factor in whether i would get one or not. at that price point, if you're chasing IQ, there are better options, though not with that kind of zoom range. I would rather keep my Panasonic FZ1000 acquired for about ¥55,000 (Japan) then forking out well over double for this Sony thing. FZ1000's 400mm is more then enough zoom for most people and most practical situations. If one is really after zoom, then the Nikon P610 or it's newer replacement B700 with 1440mm would be my consideration albeit a smaller sensor. To spend $1,500 money would be better spent getting the α6300 (I own the α6000) then pay such a price for a bridge camera. 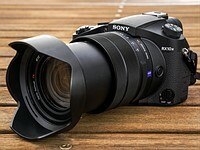 I see very little additional I would gain to replace my FZ1000 with this overpriced Sony thing. Sony in general tends to overprice their cameras any way compared to competing products. Well, 'It's A Sony'. I have both the RX10 III and the FZ1000. The Sony clearly produces better images. The difference is evident, even without comparing the same pictures taken under the same circumstances. The only advantages of the Panasonic as far as I can see are the lower weight, better grip and lower price. Both are great camera's though. I used to own the rx10, which should have more or less the same image quality as the rx10 II. After 6 months I sold it - simply dissapointed with the image quality overall (I only shoot jpeg and no post processing, simply dont have the time). I really tried to work with that camera, but never succeeded in getting truly pleasing images. Bought the fz1000 instead - totally different story. Im simply pleased with the images it produces. Much better dynamic range and more pleasing colors. The difference might be due to Sony overprocessing jpegs. Extremely high quality video from the pana as well, especially when shooting 4k and downscale to 2k output. It would be a shame if someone considering the FZ1000 is dissuaded by this review. I'm a veteran photojournalist who uses it extensively for stills and video for about 70% of shooting that formerly would have required a DSLR. And the fully articulated LCD, not available on the RX10 III, is a huge plus with video. The camera is a gem! I don't know why anybody would want articulating LCD, I had Panasonic before and it's a nuisance. So much so that I don't want any other camera with an articulating LCD. Sony tilting LCD is much more convenient. Sony screen much more convenient, sure, especially when framing a low or high angle portrait orientation shot. I guess you're one of those "creative" people who only shoot in landscape and then just crop. Agreed #2. 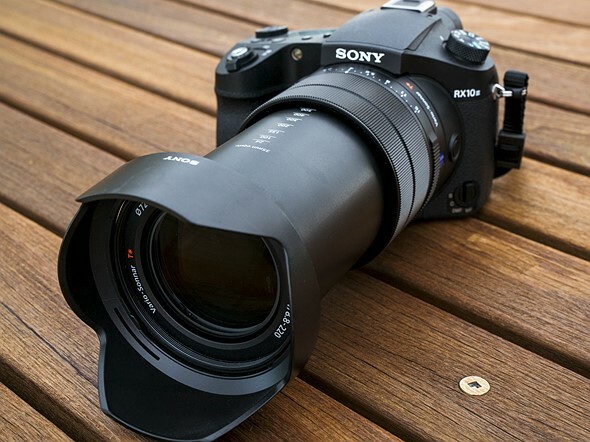 As an owner of the FZ1000 this overpriced Sony RX10 III is not even a consideration. The AF on FZ1000 is great and I also use for both stills and videos. Besides, this is the year for Photokina too. So, we might see some new stuff from Panasonic. And I don't know why anybody would want a tilting screen. 99,99% I only use the EVF (also for checking the shots) and so the articulating screen is perfectly protected when turned to the camera body!!! So, do you have a separate monitor or a TV in a portrait orientation to look at the pictures in vertical orientation? Or are you one of those who like to look at small pictures on a large screen monitor mostly filled with black or white color? God gave us two eyes and wide screen monitors for a purpose. Think about that! forpetessake "So, do you have a separate monitor or a TV in a portrait orientation "
I'm not sure who you are responding too but this is my preferred monitor configuration. I call it my "T" setup because the monitors make the shape of a sideways T.
" Or are you one of those who like to look at small pictures on a large screen monitor mostly filled with black or white color?" This gave me a chuckle because it's exactly how this dpreview comment section looks on the landscape monitor. Small column of text on a field mostly filled with black. I use them both. The FZ1000 is great, the RX10 III optics are better though. More expensive and heavier than the FZ1000 yes, but much less then any APC or full frame with the same range that comes near in quality. And the price will go down as soon as anything comes near - which would surprise me as much as this RX10 III does. The out of focus area and bokeh does not look natural. If not, this is the worst thing what I've seen from any camera+lens combo. The worst thing what you've seen? Really? Any post-processing or not, regarding out of focus area? I'll take a similar photo with my Canon G3X at 24 mm and f4. And compare the result in Canon PowerShot Talk forum. Did I apply any post-processing to the background in that shot? No I did not. What was the distance between the camera and flowers (roughly)? I have the Rx10 2. Image quality is really great, but sony fails in everything else compared to panasonic. That's why I didn't buy A6300. Bought the GX85 Instead. Fact that sony refuses to put touch screen is beyond ridicules, but that is only one of the downsides of sony cameras. Did you see the DPR poll where over 90% of people didn't like, didn't care or don't consider a touch screen a must have feature? You are in a tiny minority my friend. I doubt that 90% of people have tried touch screen. Otherwise they would vote different, no question. No joystick can replace touch screen. If I have the option to buy with touch screen I will, I bought Rx10 2 manly for 120fps. I don't care what other people like. Besides touch screen it is an option that can be turned off for people that don't like. Besides, the touch screen is only one of the problems. Button layout is horrendous, flash button is tiny and the list goes on and on. Everybody has used touch screens on their phones so they know all about them. I personally don't like them on tiny screens like the 3" ones on cameras. My fingers are too wide for precision use so it would be more a hindrance than a help. If I had a camera with a touch screen I would turn it off. Joysticks, on the other hand, work much better for me. Agreed! 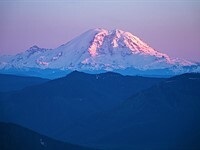 And, add an outdoor photographer's concerns. Touch screens rarely work with wet fingers (whether wet from rain, dew off vegetation, sweat, etc.). The last thing I want is to risk smearing even a trace of sunscreen or DEET onto any display screen. I started looking at Panasonic and Sony bridge options, but moisture is a concern that has me leaning more toward a Pentax K-S2 or K-70 (with two lenses). I remember clearly that proprietary software often got better results than ACR. I am sure this is a fair comparison but maybe not the best results that are possible. Lens tests are at best a method to compare lenses but are never conclusive. More than anything, long lens test deal with more than just light conditions, it also deals with distance haze that is always a factor and changes frequently and rapidly. The only way (but maybe not practical) to make it more fair is to fire all cameras simultaniously. But all said, I am impressed with the quality of such long zooms. I think by their standards, it is justified to say that the lens "destroys" competition. Keep in mind that DPR are so thorough, that for example, they ended up writing a multi-page report about some artefacts in Sony RAW files, that are only visible in low contrast situations, when pushed by 3 (or was it 5) EV and pixel peeping. From this perspective this 24-600 (equiv) Zeiss lens indeed destroys the other three. Firstly, only the Canon manages the same range (but is slower 2.8-5.6 vs 2.4-4) and then the advantage in resolving power of the Zeiss is huge. Of course, the RX10 III is twice more expensive, but this is also due to other features like, newer & faster sensor, features like 1000fps video, etc. The "competitors" were probably not even designed as competitors, but these companies made their half-hearted attempts to open a niche and then this camera arrives and outperforms them in most ways possible so it's kind-of fair to say it destroys them. Too bad Sony left out PDAF or DFD focusing. Maybe the $2000 version will have that? The old FZ1000 can be had for under $600 and for 1/3rd the price it can actually follow moving objects. "I think by their standards, it is justified to say that the lens "destroys" competition." You can justify hyperbole any way you want. Hyperbole is intended to be ridiculous exaggeration. It's fair to say that it appears to beat everything in the $1500 bridge camera class. And I want one. For that money I need a much closer look. I'd rather see "outperforms" in place of "destroys" but hey, it's "photo journalism" ! I appreciate the comparison examples for what they're worth and I can even appreciate many of the negative comments for emphasizing the discrepancies in the time slots the tests were done in. For me the question isn't so much about the cost differences of the RX10 III vs the cameras in this test but more about what it's worth compared to what I might lug around for the same money. After seeing more results from more copies of the RX10 III, I could be tempted to trade off a bunch of gear (but usually end up keeping all of it). I get that some people take exception to the headline but I find it far more interesting how many people seem to desperately need that headline to be wrong. Apparently far more people have a vested interest in needing to feel better about their FZ1000 than actually wanting to know more about the RX10III. If you were reading this article to learn more about the RX10III you would be far less worried about the headline. I think the headline comes across as a bit unprofessional, but more importantly, such a headline on a sample of one is grossly premature, particularly given Sony's history of lens variability. I'd guess that there are plenty of people that might accept "destroys" if they see a lens that is faster across the range with significantly more reach and better IQ. If Nikon released a 24-120 lens that was faster than the 24-70 and had better IQ then many people would accept "destroys" as being fair. If DPR intended the headline to be specific to IQ only then certainly it might be a bit over the top. It can;t focus on anything moving. For $1500 Sony left out PDAF or DFD. If the subject is moving, the RX10ii gets "destroyed". Looks like a lot of people are hung up on the word "destroys" in the headline. Well, when a company is confident enough to put a really good lens on a camera with a smaller sensor, thereby risking sales of more high-end models, that is a praise-worthy act and should be called out, which is what the DPR team have done here. Sony didn't go for the weasel games that some manufacturers play in the name of product differentiation, and they deserve some credit. Canon would never ever do this. Just look at the lenses on any of their "enthusiast" compact cameras. I say this as a Canon shooter, by the way. I have never owned a Sony camera. Given that it is double the price of the competition, it better be better than the competition? The point here is that this is the first 'superzoom' we've ever seen to offer a lens of this quality, across such a wide focal length range. This kind of performance is far from inevitable, in a camera that costs X amount. It's a major technical achievement, and a significant huge shift in our expectations of what is possible in a camera of this type. I agree Barney it is camera that changes things for the better. I'd rather have seen "Sony in a class of its own"
Sadly, if we express enthusiasm about any Sony product, in any article, a certain number of our readers will fill our comment threads with bile and send me (literal) hate-mail. It's happened enough times to be very predictable at this point. Barney, I hope you guys pay zero attention to the hate mail. Thanks for the great job. Keep it coming. @Barney: it saddens me to read that people would send you hate-mail, but at the same time I feel it's unfair to qualify me and some others as fanboys or worse. You might not agree with our criticism of the title, but some of those comments were well enough reasoned to be taken seriously. I believe my own intital comment was reasonably nuanced (http://www.dpreview.com/news/5980899251/sony-rx10-iii-lens-comparison?comment=4498447400), and would add that in the past I've given you and other DPR staff praise as well where IMO it was due. All I want to say, I guess, is that not all criticism is trolling or fanboyism... But now it's time to put this baby to bed. Have a nice weekend! I would not be too concerned about sweaty geeks living in their parents basement sending hate mail. Still, must be a bit disconcerting considering it's not like you are a member of the KKK or something. Barney, thanks for the reply. I appreciate your point of view, indeed it seems to be a very good lens. My point is that, for what Sony is charging for the camera, it better be really good. And it seems to be. The Sony appears heavily distorted in white window frames at 400 mm. Right. That's the Sony lens resolving all the heat distortion the other models aren't, because their lenses aren't as good. And you are sure of that it is the lens and not the shooting conditions? Looking at the pictures I would suggest that the heat distortion is different as well. The flashy headline works! It has generated more traffic than description of decentered lens. It might be interesting to see how it compares to the FE 70-300 on A7Rii. Equivalent FL comparison and also 300-cropped-to-600 vs the RX10iii. 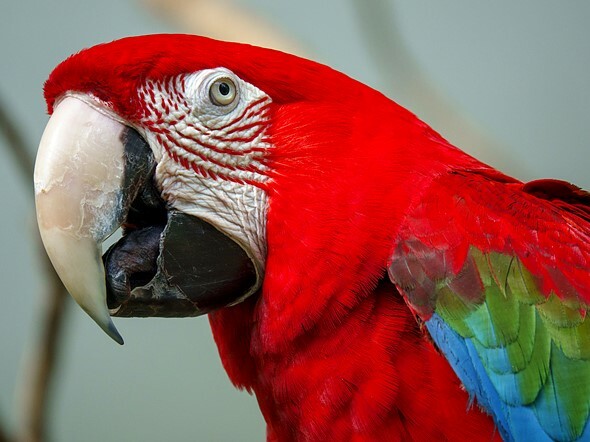 With such good IQ as it seems in the parrot photo it might be better to buy the RX10iii as a 2nd camera for telephoto, instead of the 70-300. Perhaps the headline should have been. Expensive camera has slightly superior resolution to cheaper Camera. If things goes like this, it may 'destroys' DPR. Is this a lens test (i.e. using best-effort raw processing) or a test of how much pop/sharpening/lens correction is applied in-camera (i.e. SooC JPEGs)? Perhaps doing them in DXO using lens profiles and trying to make them look the same would be more indicative of what can be achieved. (It is fair to say this is what the JPEGs are like, which people may care about, but if the images above are from JPEGs I think saying that's what the lens is like is not as valid, especially if some do in-camera selective sharpening based on a lens profile and some don't). 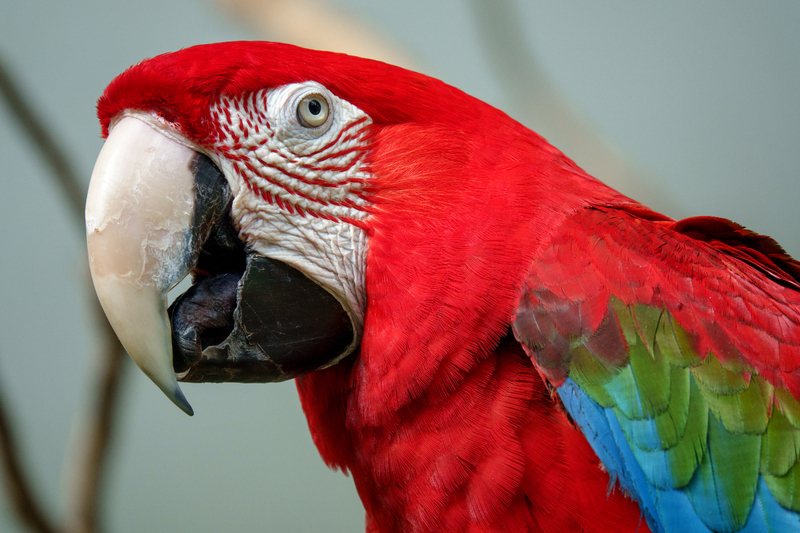 you do have the raw images from the comparison available for download. Which is okay for me, if I can find the time, but should everyone do their own versions? They're Raws processed with exactly the same settings for all cameras. Thanks - I did look before writing but hadn't seen that (and still can't). Hmmm can't refute their findings, how else can I express my butthurt? I know! What an immature word to use! Using that word takes away ALL credibility. My 1dx II and 100-400 are much better! Oh, boy....I thought I've heard it all. Heat waves? Never saw on any Canon package "To be used only in a cool climate for maximum performance"
He means (probably) atmospheric haze. And while you definitely can use your camera no matter how the weather is :) ... yes, the results will be affected by it. And at long FL the haze affect the results very much, so yes it is a *must* to compare long lens performance in the same conditions.